This extraordinary crown measures 8 - 9 inches in length. This crown represents a remarkable work of art which makes a strong statement. Whatever the occasion, make it a special one with this attention-getting beauty. 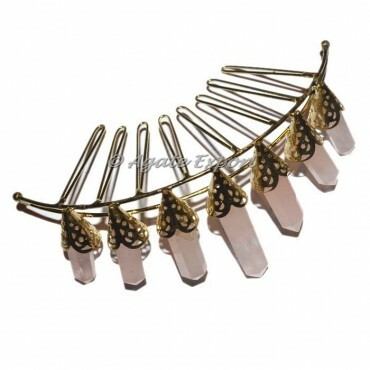 Made with the highest quality rose quartz gemstones, high-styled, and quality materials. You can buy this splendid crown at reasonable prices online.